Ok so today I went to a mall with my mom and sister. So as usual, I’m hungry and begged my mom to get food. She gave me money and went to KFC to order for my sister and I. KFC was empty no one was there to order. As soon as I came more people started to come, what the hell? Philipino guy: How are you? Me: I’m good, what about you? 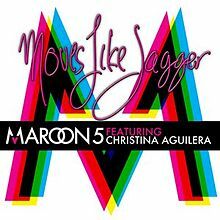 Anyway so after we finished we were on our way to go swim and we had a CD playing in the car “Moves like jagger”. My mom parked when we arrived at the place and she “turned off the car” so the CD stopped playing… So the idiot that I am thinking I’m in my room, I was singing in a loud voice to annoy my mum. We opened the car’s door, while I continued to sing in a loud voice thinking we were the only people on the street and on top of that I wasn’t wearing my glasses so I was pretty much BLIND! My sister was like “sshh” I thought she said that because she was jealous of my voice! “SO GET IN THE CAAAAAAAAAAAAAAAARRRR” I ‘sang’ with the lyrics of the song. Awakened By My Dad’s Scream..
Got Knocked Down? Get Back Up! She Carried Herself Like A Queen ♔. Hijabis Can’t Wear What They Want! For the Ladies that don’t shake hands with Men. 10 FUN things to do during Ramadan! 9 Major Mistakes Hijabis Do. Why I blame EX-Hijabi bloggers for creating the trend of many girls taking their Hijab off.